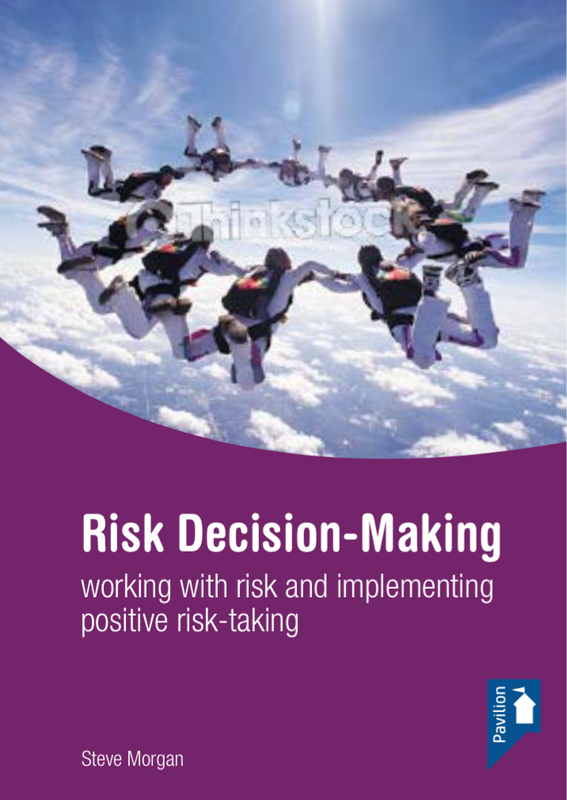 Risk Decision-Making: Working with risk and implementing positive risk-taking (2013) is available from Pavilion Publishing & Media. Taking risks in some form is something we all do every day, and we take for granted our freedom to take such risks as we choose. For many service users, a bureaucracy that is fearful of a blame culture means that they often do not get the chance to take the risks they are entitled to, and their lives are impoverished as a result. While we normally view risk in terms of danger and consequence, we must attempt to redress the balance and recognise that there are many potential benefits to risk-taking. Key features: Detailed manual covering a wide range of risk-taking issues; CD-rom with a comprehensive range of printable materials, including forms, checklists and guidance. Primarily aimed at working with people in mental health, learning disability and older persons’ services, this manual will enable local services to develop their own packages of training and support for implementing good practice in working with risk, including taking risks and good risk decision-making.